Audiology aims to make sure children have the best hearing levels possible. The age range of children and young people we see is 0-18 across Halton, St Helens and Knowsley. 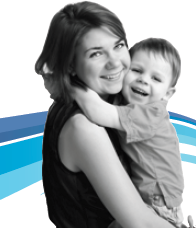 You can refer your child into our Children’s Audiology Service via your Health Visitor, School Nurse, GP or any other professional who is involved with their care. On receipt of a referral parents will be sent a letter asking them to contact the service to arrange a convenient appointment. You will be offered suitable appointments within 6 weeks of the date of receipt of the referrals. 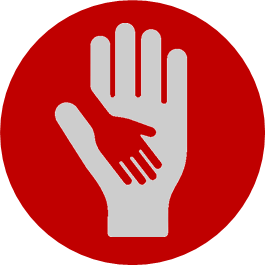 If families do not make contact the child will be discharged from the service. There is no cost to parents to use this service. The service aims for stable hearing levels as quickly as possible. Once these are established the intention of the service is to maintain maximum hearing levels. 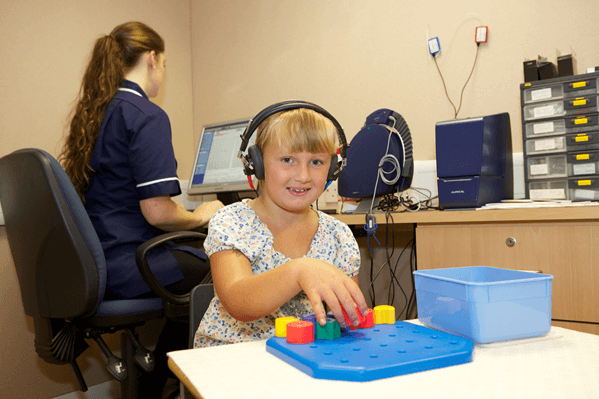 The children and young people who use amplification can expect to access the service for regular hearing tests. We follow national guidelines for transition to adult services. This will be at 16 years of age or at 18 years if in further education. In all other cases the decision to discharge the child will always be discussed and agreed with the child or young person and their family. Hearing aids, ear moulds, tubing & batteries will be provided if required. Parents will be present in the appointments for most children and all information will be discussed with you. You will also receive copies of all reports written about your child. There is also a Children Hearing Services Working Group (CHSWG) where professionals and parents work together to improve services for children with hearing loss. If you would like to join this group please let us know. Please complete our Outcomes of Care Survey. Children’s audiology staff work within a multidisciplinary team to provide an integrated approach for children and families. The team work together to ensure all aspects of hearing link with the child’s other needs. The teachers of the deaf act as a liaison between audiology and schools supporting those who wear hearing aids in schools. Speech and Language Therapy work closely with audiology ensuring the child’s hearing levels are at optimal levels for their communication. Social care and charities such as NDCS also work closely with Audiology and with families. We also work with the Hearing Screening Unit. For general enquiries regarding children’s audiology audiology, specific enquiries about a child or for questions about a referral please contact our admin team on 01744 624932. The admin team may then put you in contact with any individual member of staff or the team leader who can most help you with your enquiry.